Prince Harry and his girlfriend, actress Meghan Markle, have reportedly spent their first holiday together in search of the alluring Northern Lights. The couple are believed to have stayed in Tromsø in Northern Norway – a truly unspoilt wilderness – that is located on the edge of the Arctic Circle. (TRAVPR.COM) UNITED KINGDOM - January 18th, 2017 - The original Northern Lights company, The Aurora Zone, offers expert-led experiences of the Aurora Borealis, pinpointing the best chances to see the Northern Lights, whilst guaranteeing a truly immersive and genuine experience. The Northern Lights are best viewed in the winter months with January to March being a prime time. The current Aurora viewing season has been particularly strong due to active solar winds. Experience the best of Norway on this new short escape, combining the vibrant city of Tromsø and the tranquil setting of the Lyngen Alps. Included is a Northern Lights photography workshop, snowshoeing, snowmobiling and a husky safari, with the option to go whale watching or meet a traditional Sámi family. Two nights are spent sleeping in a Crystal Lavvo in mountainous surroundings; the cosy wooden building has a spectacular glass roof for views of the night sky. The price is from £965 pp (two sharing) includes transfers, four nights' accommodation, full board, activities, cold weather clothing and experienced local guides. Departs January to March 2017. Set on the edge of Lannavaara village, the brand new Aurora Mountain Lodge is perfectly positioned to make the most of opportunities to see the Northern Lights. The lodge itself is cosy and beautifully designed with muted colours and rustic wooden décor, and its location means that activities take place straight from its front door. 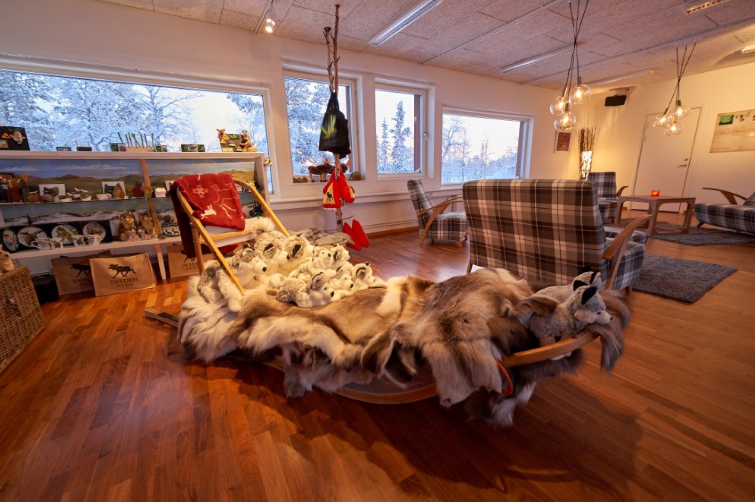 Go snowmobiling and snowshoeing, take part in a traditional Sámi reindeer experience and, when Aurora hunting, gather at a traditional lavvu – a pop-up canvas tent with an open fire - where you can sit, warm and cosy, under the starry skies. The price is from £1,395 pp (two sharing) including flights, transfers, three nights’ full-board accommodation, activities, cold weather clothing and experienced local guides. Departs January to April 2017. The Northern Lights Village is a new lodge featuring half glass-roofed cabins to maximise views of the Northern Lights and the unpolluted night sky. The cabins face north, away from any possible light pollution, and are situated on the outskirts of Saariselkä, deep within thick forest. Activities include husky sledding, skiing, a reindeer-led sleigh ride and snowmobiling. 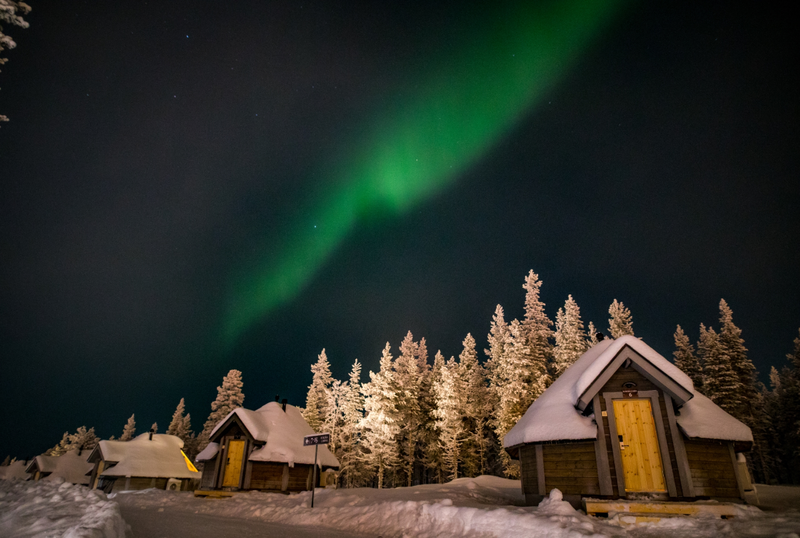 The Saariselkä – Northern Lights Village - Tailor Made itinerary price is from £695 pp (two sharing) including transfers, three nights' accommodation with breakfast and dinner, cold weather clothing and experienced local guides. Flights and activities extra. Departs January to March 2017. Created by some of the country’s leading architects, Sweden’s spectacular Treehotel is a one-off. Each room is either suspended in the treetops or built on platforms set amongst the boughs of the trees. Opening this month, the new ‘7th room’ at Sweden’s Treehotel, which is set 10 metres up in the pine trees, provides a perfect view of the Northern Lights and the surrounding scenery. Visit as part of Sweden – The Ultimate Aurora Adventure, a once-in-a-lifetime itinerary which includes a night at the Treehotel, a 400km train ride to the Aurora mecca of Abisko, located 250km within the Arctic Circle, a night in the world-famous ICEHOTEL® and activities galore. The price is from £3,195 pp and includes flights, transfers, eight nights' accommodation, most meals, activities, cold weather clothing and local guides. Departs January to March 2017. Surely one of 2017’s most popular destinations, Canada is celebrating its 150th anniversary this year. Take in the Northern Lights and the many natural wonders of Canada’s wilderness on the Yukon hunt for the Northern Lightstrip. 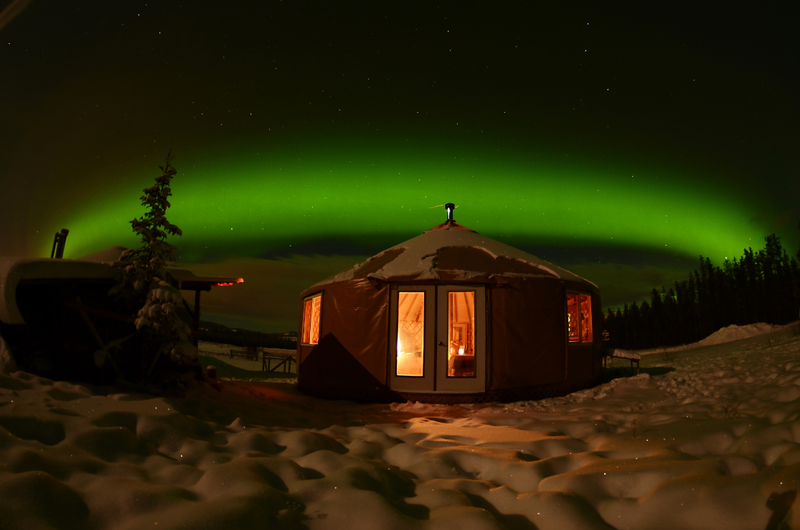 There’s even an option to stay in a cosy Aurora Wilderness Yurt. Marvel at the impressive white-peaked mountain ranges and spot wildlife (most likely bears and moose) wandering through the scenic snowy landscape. Activities include guided Aurora photography evenings and Aurora hunts, a husky safari, snowshoeing and a snowmobile safari. The price from £2,240 pp (two sharing) includes internal flights, transfers, seven nights' lodge/hotel accommodation, most meals, activities, cold weather clothing and experienced local guides. International flights extra. Departs January to April 2017. Set in the fells of Finnish Lapland, Harriniva - Best of the Northern Lights. The itinerary includes a Northern Lights exploration, husky night adventure, reindeer Aurora experience, cross-country skiing and Aurora snowshoeing. There is also an opportunity to stay in an Aurora Dome - modified yurt like structures designed for this remote environment with best possible views of Nature’s greatest light show. The price is from £1,615 pp (two sharing) including flights (Gatwick), transfers, seven nights' half-board accommodation, all activities, cold weather clothing and experienced local guides. Departs January and February 2017. For further information, please visit www.theaurorazone.com. To discuss Aurora-hunting tours with an expert, please call the well-travelled team at The Aurora Zone on 01670 785 012. Press: Formore information, high-res images or to discuss a commissioned press trip, please contact Julia Farish or Paul Bondsfield at Travel PR on 020 8891 4440 or j.farish@travelpr.co.uk or p.bondsfield@travelpr.co.uk.